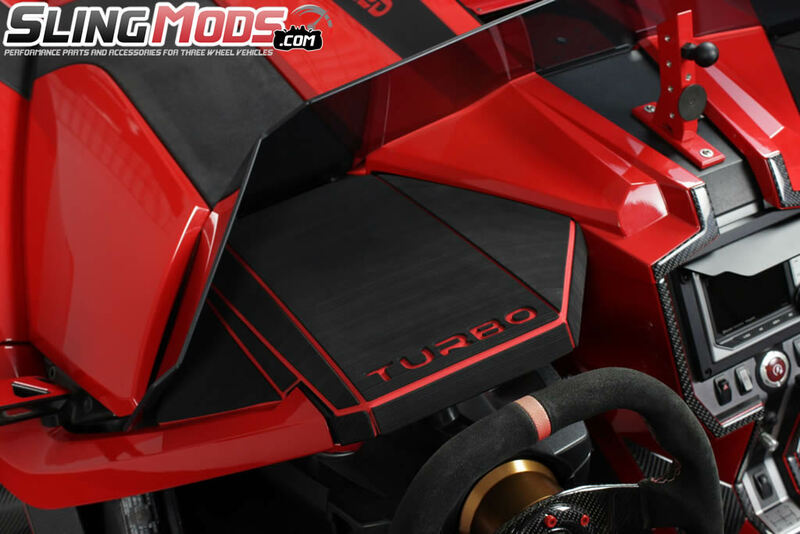 Completely transform your Polaris Slingshot interior with these custom foam dashboard covers by Foamskinz! 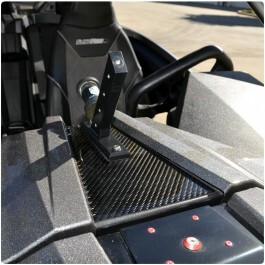 The kit includes a foam dashboard cover for both the driver and passenger side of the Slingshot. 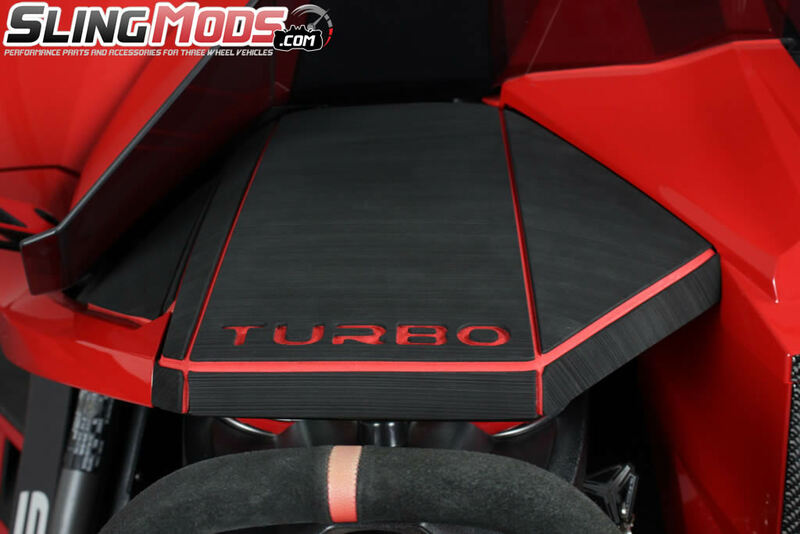 The cover itself is constructed of a dual layer EVA foam with adhesive backing and has been designed as 1 solid piece per side to give a very streamlined look, almost as though you've had your dashboard custom upholstered. 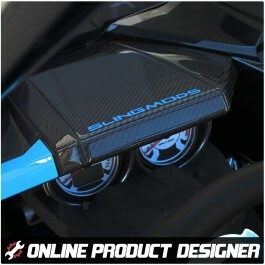 You can custom design your foam dashboard covers with our free online designer. 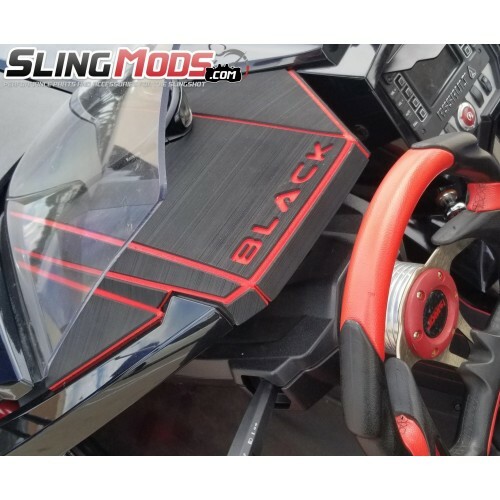 You'll be able to select from a variety of foam accent colors, as well as up to 5 custom text characters per side to really set your sling apart from the pack. 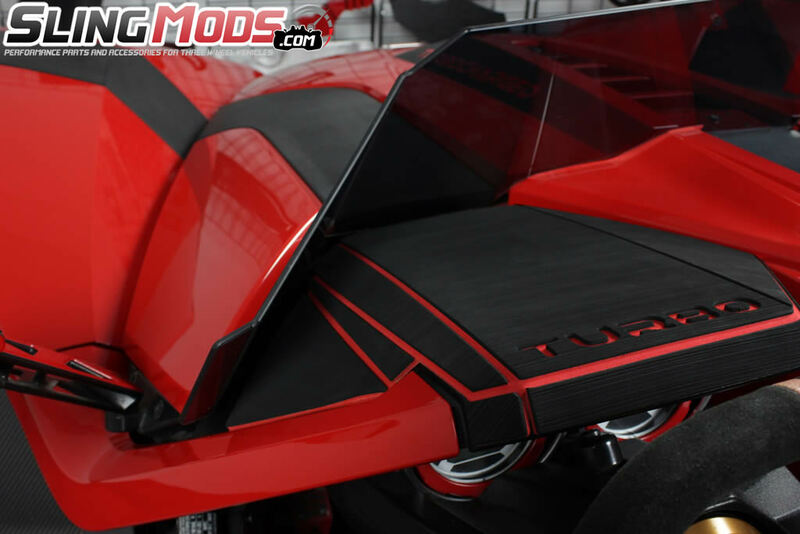 The covers are an excellent accent to the interior of the vehicle. 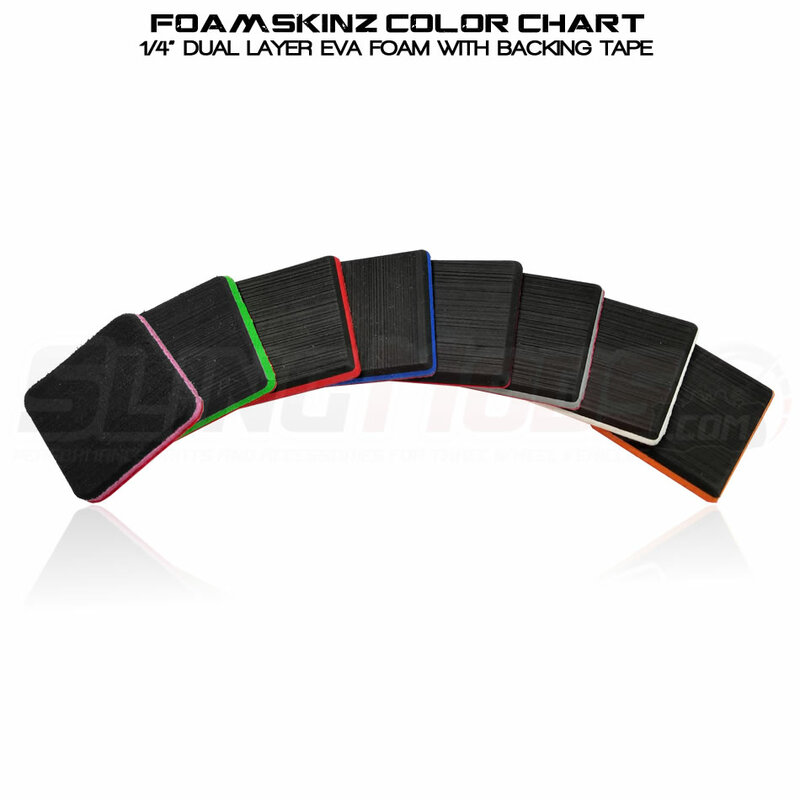 I would not hesitate to buy again. 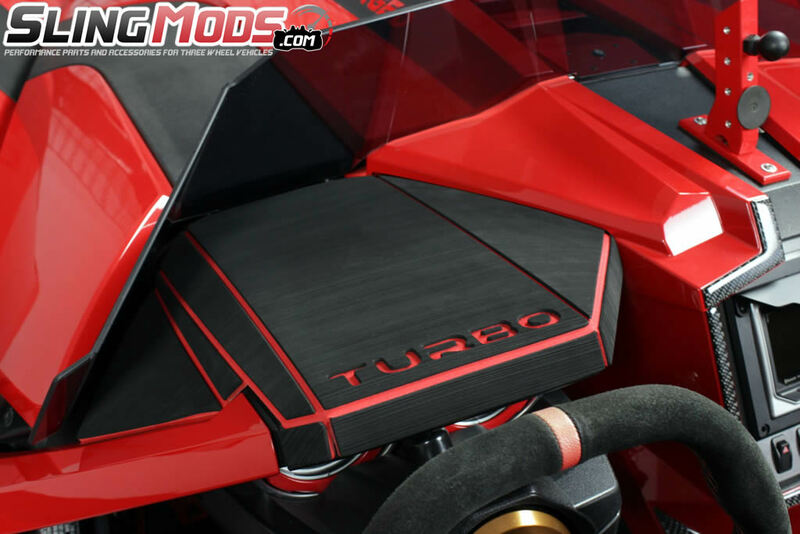 these dash covers look amazing! 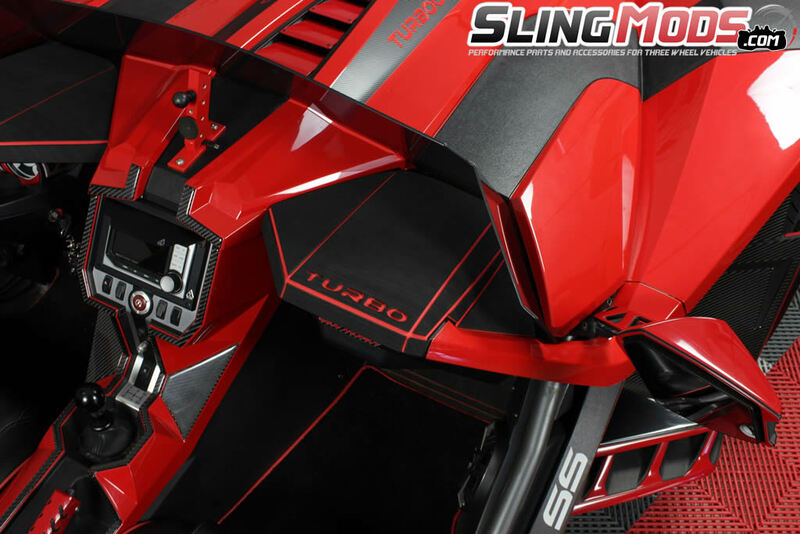 the blue is a perfect match and makes the interoir of my sling pop!!! 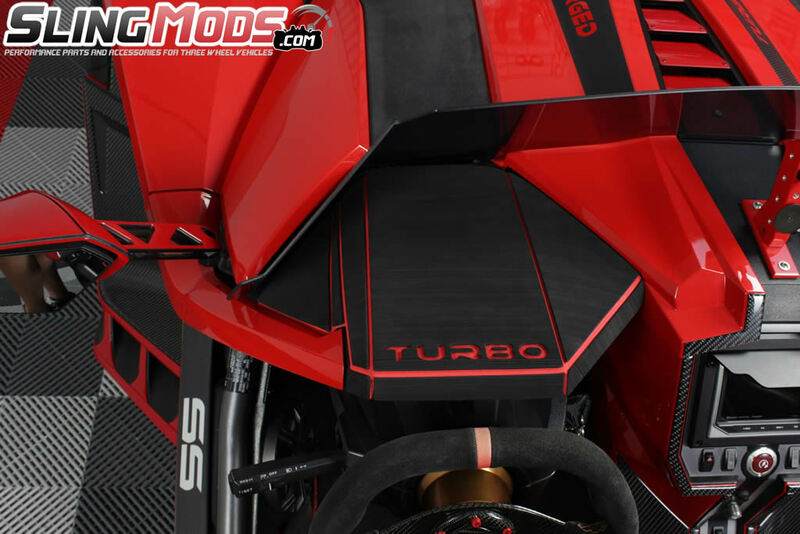 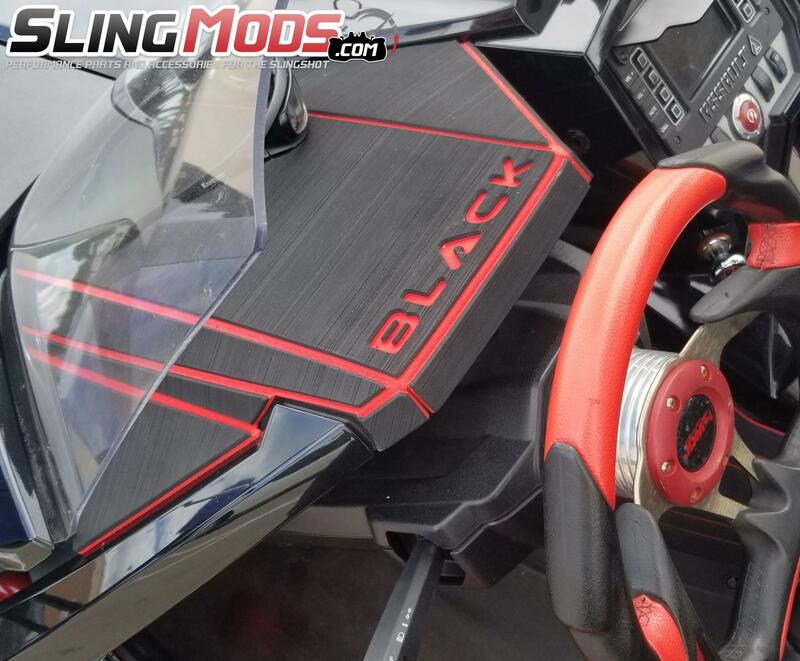 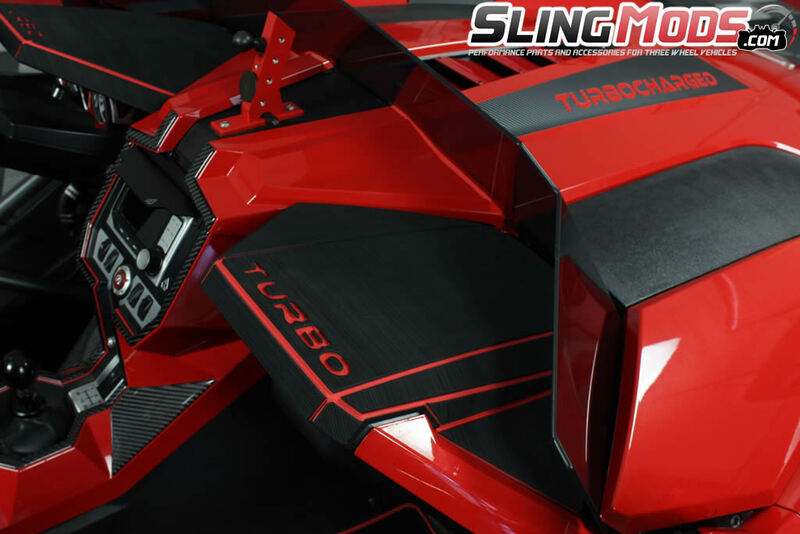 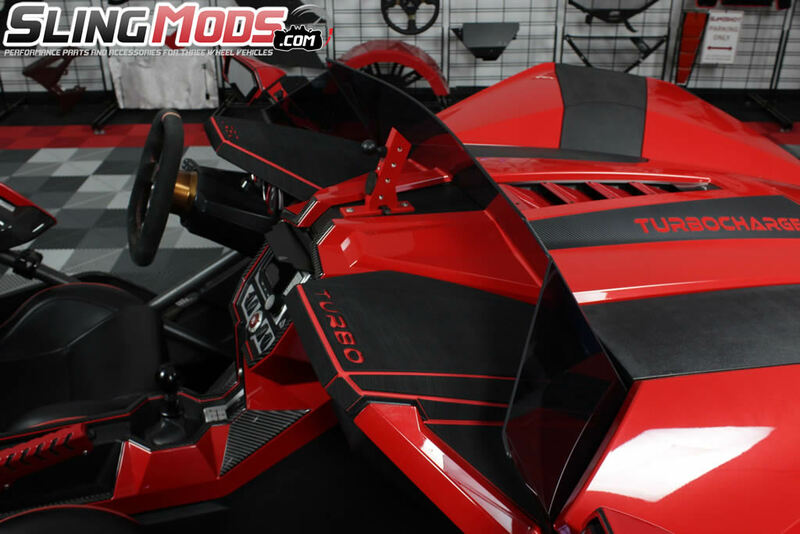 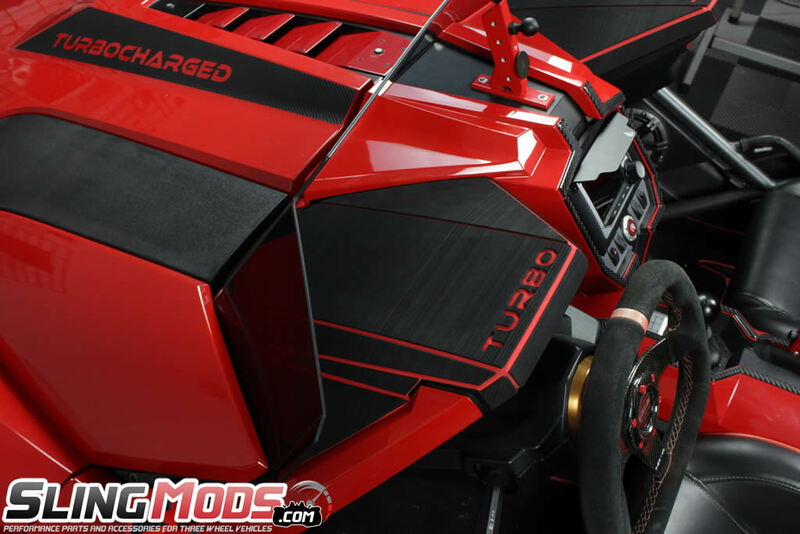 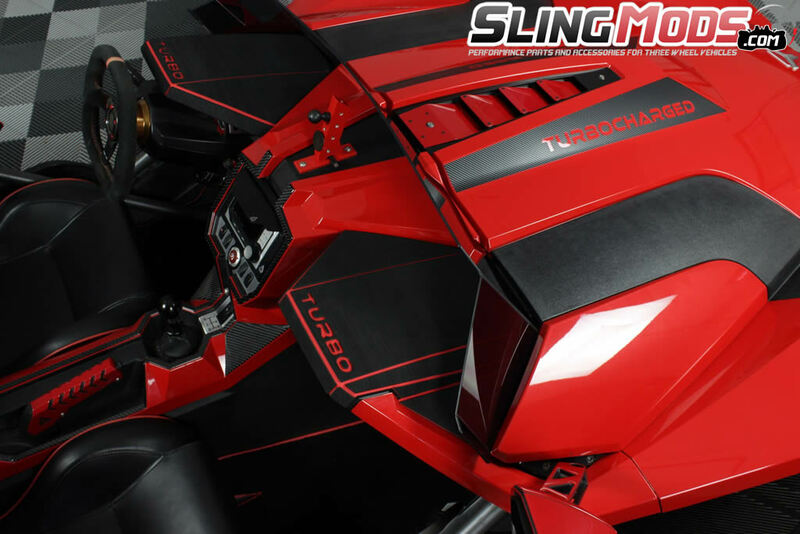 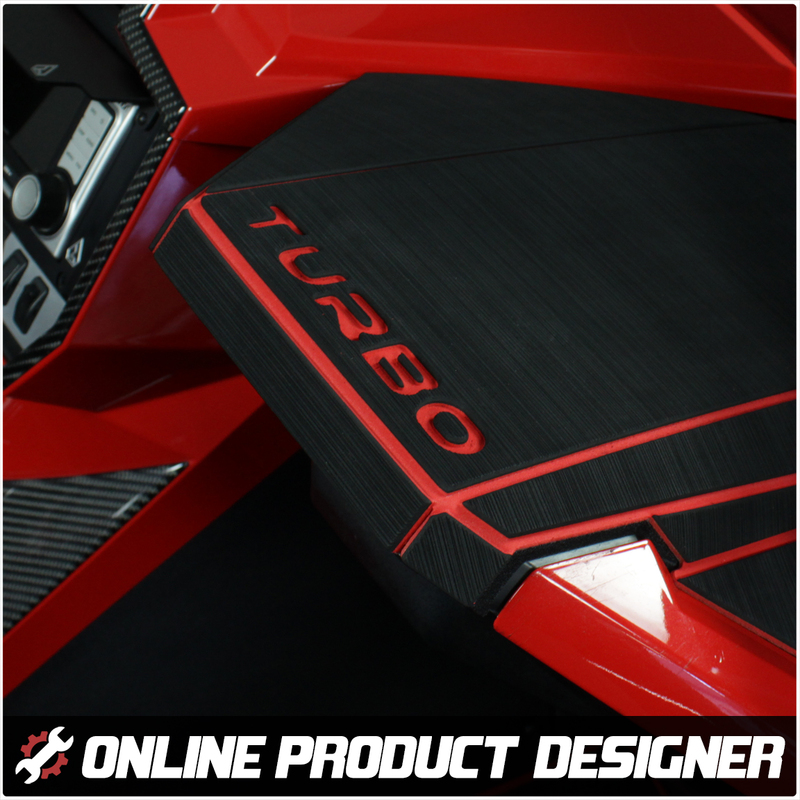 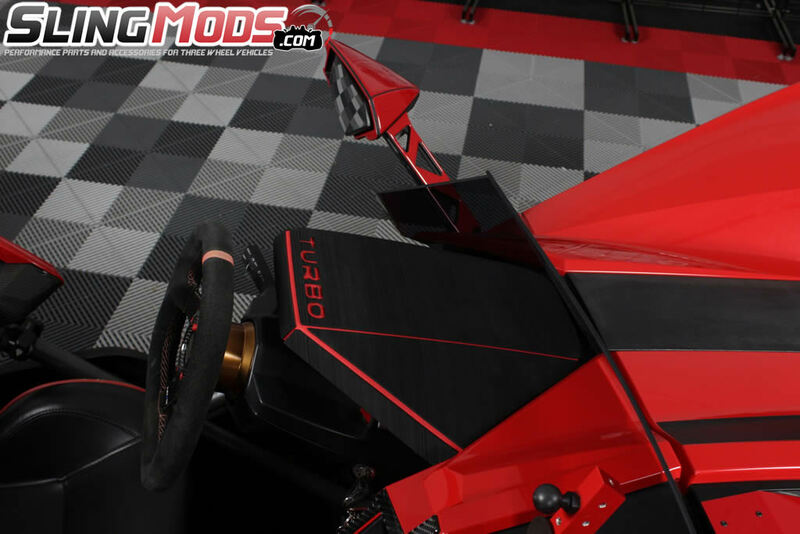 Polaris Slingshot Center Dashboard Accent Cover by Tufskinz..
Polaris Slingshot Custom Dashboard Covers available in both Carbon Fiber and most OE paint colors..